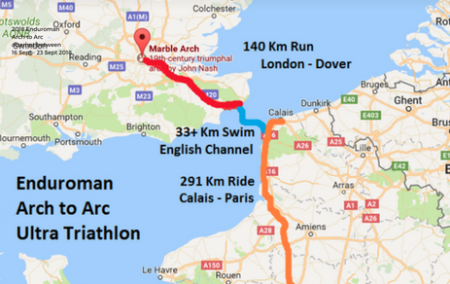 In September, Sam will support legendary endurance athlete John van Wisse in his mission to reclaim the world record for one of the toughest ultra triathlon events on the planet – the Enduroman Arch to Arc. Here’s the lowdown on what’s happening. * A 291km bike ride from Calais to the Arc de Triomphe in Paris. The event is considered one of the most physically and mentally demanding races in the world. Van Wisse will have a one-week window starting September 16 to begin the race. His goal is to achieve a finish time of 51 hours or less. On August 29, 2014, van Wisse set a world record for the Enduroman. He finished the race in 61 hours and 27 minutes, beating the previous world record holder by more than 12 hours. This was despite multiple challenges, including getting lost twice during the run through London; being mistaken for an illegal immigrant when he began his swim in Dover; and battling horrendous swimming conditions due to the tail end of a hurricane in the North Atlantic. 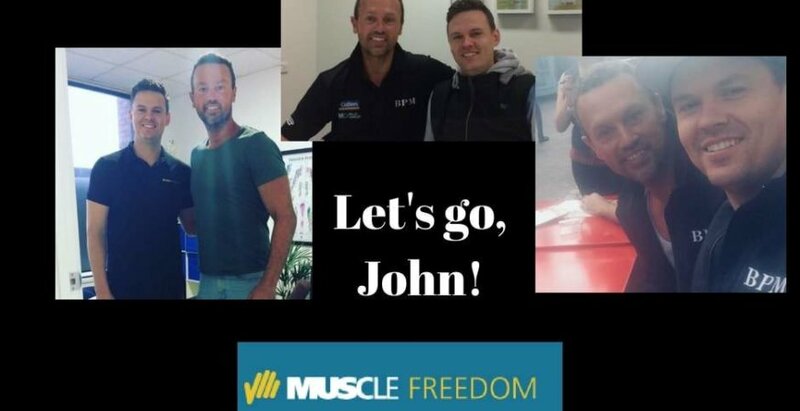 “I have not met another single person that could have swum the English Channel in the time John achieved in the conditions he had on the day,” Enduroman founder Edgar Ette said. In June 2016, Frenchman Cyril Blanchard beat van Wisse’s record with a time of 59 hours and 56 minutes. He actually ran and swam slower than van Wisse, but took less rest and ride time. Now it’s time for van Wisse to reclaim the title. With approximately 20 Ironman triathlons and multiple marathon swim competitions under his belt, he’s in good shape to do so.